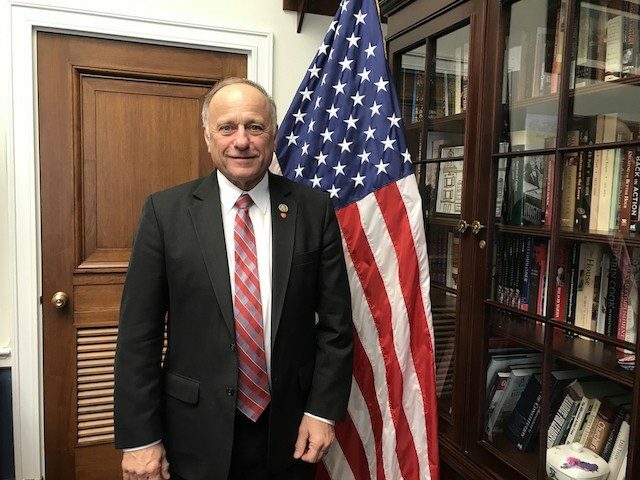 WASHINGTON, DC — Rep. Steve King (R-IA) says House leadership and one very powerful pro-life group is posturing to prevent his anti-abortion “Heartbeat Bill” from passing in the House. King introduced House Resolution 490, also known as the “Heartbeat Protection Act” or the Heartbeat Bill on the House floor early last year. The bill requires abortionists to check for the baby’s heartbeat before proceeding with abortion and restores legal protection to unborn children once it is detected. King said, “I’ve gone to work and drafted this bill and kept it clean and tight and compact and precise and legal. And with definitions that are understandable and defensible. … We have 170 co-sponsors on the heartbeat bill.” He has been wearing a heart-shaped pin with infant footprints on it on his lapel since he first introduced the Heartbeat Bill nearly one year ago. On Friday, January 19, thousands will participate in the annual March for Life in Washington, D.C.
A new Marist poll, sponsored by the Knights of Columbus, released earlier this month reveals that more than 75 percent of Americans would restrict abortion to, at most, the first trimester of pregnancy. We’ve got a list of about 128 either pro-life groups or pro-life leaders, all of whom have signed on in support of the Heartbeat Bill. And so, when I looked down through that list, and I thought ‘who’s not on it?’ There’s only one, and it’s the National Right to Life. Some would say they, at least, used to be the preeminent pro-life group in the country. They’ve done a lot of good work. But they seem to be stuck in the ways of slow-motion incrementalism, being satisfied with a bill coming forward on January 19 which is the Born Alive Bill, rather than the Heartbeat Bill. There are incidents out there that are ghastly. If a baby survives an abortion and is born alive, [some clinics] might take the baby and set the baby off in a cold room and let the baby freeze to death or starve to death, and everybody [involved] essentially walks away, plugs their ears so they can’t hear that baby crying for mercy. And they come back later on, and if that baby’s dead, then that was their objective in the first place. I call that murder. National Right to Life President Carol Tobias personally told Rep. King that we do not oppose his heartbeat legislation. We are focused on supporting the Pain-Capable Unborn Child Protection Act, the Born-Alive Infant Survivor Act, and the Dismemberment Abortion Ban Act. We don’t understand why he is singling out National Right to Life for his unfair attacks when some other national pro-life groups have taken the same position.